Home Company	US AMBASSADOR TO BANGLADESH VISITS DENIM EXPERT LIMITED. 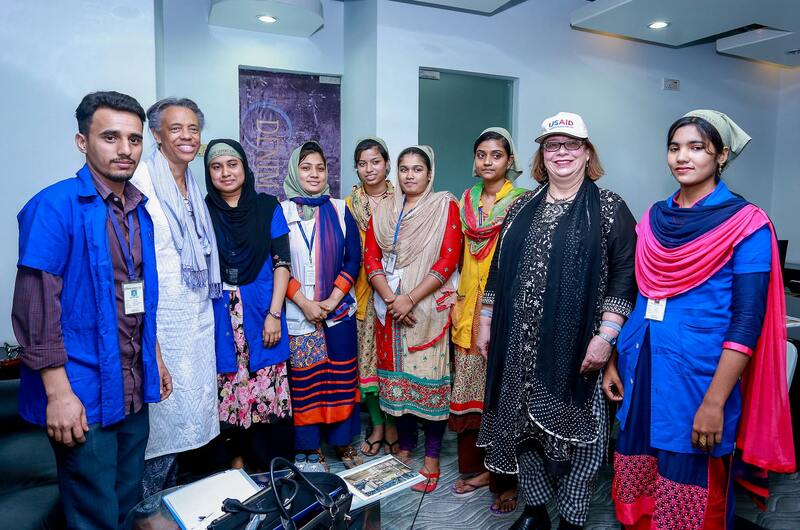 The US Ambassador to Bangladesh, Marcia Stephens Bloom Bernicat visited the Denim Expert Ltd. factory in the Karnaphuli EPZ, Chittagong on 15th March 2018. 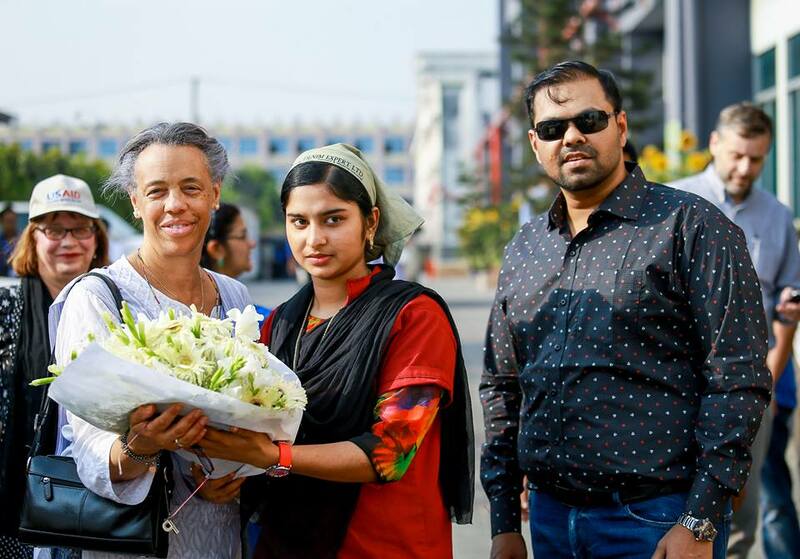 The factory visit formed a part of her week long trip to the Chittagong Hill Tracts area. 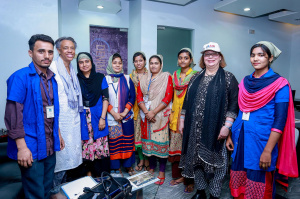 The USAID Bangladesh Mission Director, Janina Jaruzelski and other high ranking officials from the US Embassy in Dhaka and from USAID accompanied Ambassador Bernicat. The Managing Director of Denim Expert Ltd. Mr. Mostafiz Uddin gave the Ambassador a guided tour of the facility, during which the US Embassy delegation were shown the factory floors, the design and development studio, the washing plant, the automatic laser facility, the effluent treatment plant (ETP) and were introduced to numerous members of the Denim Expert Ltd. team. 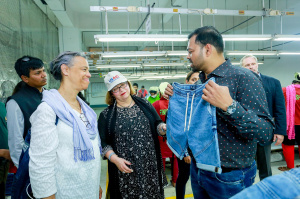 As the tour of the factory progressed Her Excellency took time to hold short discussions with the workers and staff of Denim Expert Ltd. to enquire about their feelings for the working environment and their own personal lives. The team at Denim Expert Ltd. are truly grateful to Her Excellency Marcia Bernicat and the USAID representatives for their visit. It was truly inspiring for all of the employees at Denim Expert Ltd. to be able to interact and hold discussions with Her Excellency during the day. The Denim Expert Ltd. family would like to thank Her Excellency for her passion for the industry and salute her for her support in the development of our country. ZERO DISCHARGE FROM HAZARDOUS CHEMICALS PROGRAMME AT DENIM EXPERT LTD.